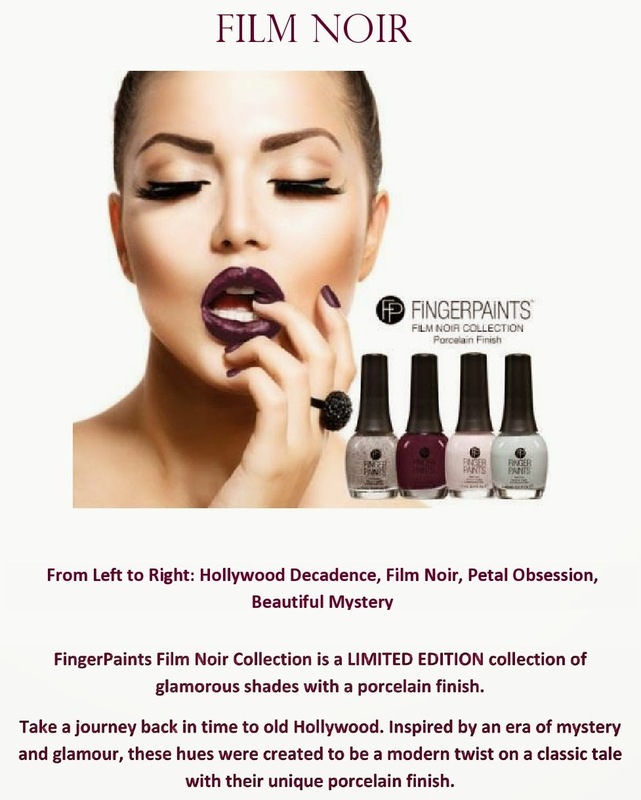 i have a press release from FingerPaints to share with you all today of their new Film Noir collection! it will be released in August 2014... it's definitely got a Fall vibe to me, what do you think? i'm very interested in seeing what their 'porcelain finish' will look like!